Home / 17th iro / iro / kid innovators / philippine robotics / philippine robotics team / robotics / sofitel philippine plaza / wyeth / wyeth kid innovators / wyeth nutritions / wyeth philippines / Phil. Robotic Team dominates 17th IROC 2015 with 62 Medals. Phil. Robotic Team dominates 17th IROC 2015 with 62 Medals. The Philippine government and the private sector jointly recognized the Philippine Robotic Team in ceremony held at the Sofitel Philippine Plaza in Manila for bragging 62 Medals at the 17th Intl. Robotics Olympiad in Bucheon, South Korean last December 2015. .The Dept. Of Education National Science and Technology Fair Chairman Joseph Jacob remarked that the Philippines demonstrated once again its mettle with the Philippine delegator’s winning streak. 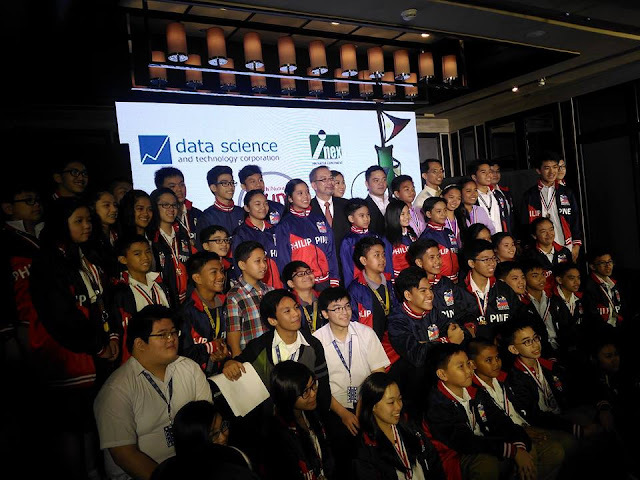 They were presented during the ceremonies hosted by private sector lead, Data Science and Technology Corp. and Philippine Team Olympiad partner, Wyeth Nutrition. 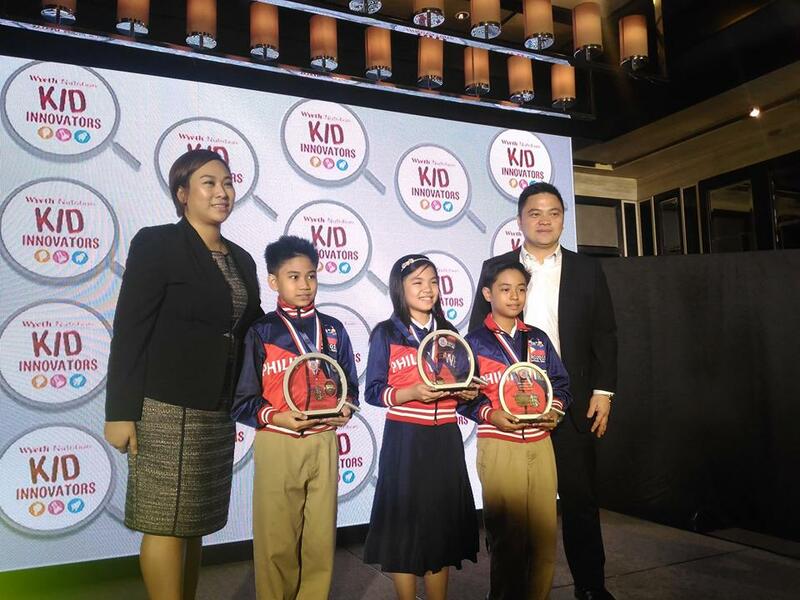 Wyeth Nutrition, an advocate of sparkling the spirit of Innovation among kids, also conferred its coveted Wyeth Nutrition Kid innovation Special Award to CSJ-Letran students Chavez, Sulit and Torres. This citation comes after its recent launch of the nationwide Search for the Wyeth Nutrition Kid innovator’s to help promote and nurture Filipino children’s love for Science and passion for innovation. Wyeth Nutrition Innovations Head Iggy Alvarez shared the importance of keeping the wonder and awe in kids alive, as he cited the role of Innovation in national building. Meanwhile, Wyeth Nutrition Comm. Head Anne Michelle Pador proudly recognized the amazing ability of these kids innovators to make a diff. in the field of Science and Technology, with the combined support of parents, educators, public & private sectors. Silver Medalist and Kid Innovator Zandra Pauline Chavez spoke on behalf of the Phil Robotics Team, thanking their parents, schools, local government, coach Melvin Matulac and the private sector for the delegation’s accomplishments.